We rang in 2018 with a grateful heart for all that God has done in the past 365 days and with anticipation and excitement for all that is to come in the next 365. This year has been an adventure, one we certainly will never forget. The Lord has grown and changed us, and has given us so many undeserved, good gifts. Here's a list of some of our favorite moments of 2017! 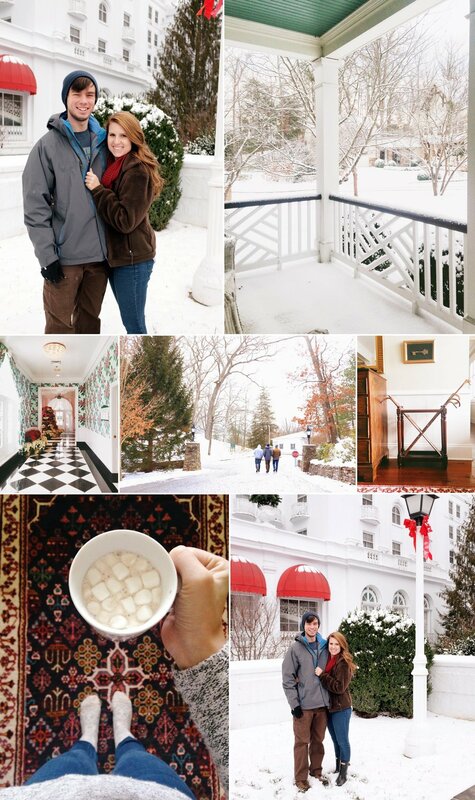 01.01 - We spent New Years weekend last year with sweet friends in the mountains of West Virginia at the Greenbrier! It was the absolute best way to start 2017. 01.04 - Just a few days later, we skipped down a few states to Florida to go to Harry Potter World at Universal Studios. Since Aaron still asks on a regular basis when we can go back, I'd say this was definitely a highlight of the year for these two Harry Potter Loving Nerds. Plus, Aaron got over his fear of roller coasters, so that was a big milestone. When we got back home, we were greeted by Greenville's first snow of the year! April - July - God was faithful to provide all the financial support we needed so that come September we could quit our jobs in the U.S. and make a big move overseas. Throughout the support raising process we traveled around and got to have meals and catch up with sweet friends! One of those trips was back to Casey's Alma Mater, Duke, and to Aaron's seminary, Southeastern Baptist Theological Seminary, where we got to hang out with Mike & Bethany!! Spring & Summer - We led the college ministry at The Church at Cherrydale (TCC) for our final semester & summer. This includes too many highlights to possibly name as these students and the other college leaders feel more like family. A few of our favorite times included lake days, pancake & game nights, carowinds, bonfires, weekly small group, guys & girls night, and trips to the mountains or GO conference. One of the items we made sure to fit in our suitcase for Kenya was the precious book they filled with notes and photos and gave to us on our last Sunday at TCC. It may have made us both shed a tear or two. June - August - Our guest room was permanently filled! Lenny lived with us for the summer while doing an internship at TCC and became even more like family than he already was! He probably also thinks we're crazy after having lived with us for a few months, but we're okay with that. Somehow this it the only photo we managed to get all summer of the 3 of us, but we love you Lenny! 03.24 & 06.20 - These were the dates of our Christmas gifts from 2016. The first was to see Lebron play! We went to a Cavaliers v. Hornets game in Charlotte & CAVS WON! In June, Casey's childhood dreams came true and we got to see the Broadway musical The Lion King in Greenville! 06.30 - A trip to Richmond, VA for some much needed quality time with Joe (& Bear)! Plus, we had the best drive-in movie set up ever and also ate the most delicious donuts we've ever had. Just go ahead and put Duck Donuts on your "places to visit" list for 2018; you can thank us later. 07.23 - Aaron baptized his dear friend Tim on this day at TCC. After meeting one another on the day that Tim moved to Greenville in April, Aaron had the opportunity to walk with Tim through the Scriptures and help him find his way in a new city. Unfortunately, Tim recently went to be with the Lord, but it's clear that God brought him across our path in the timing that He did for a reason and our hope is that we'll get to see him again in heaven. 07.15 & 08.5 - We were incredibly grateful to enjoy vacation with both of our families this summer. 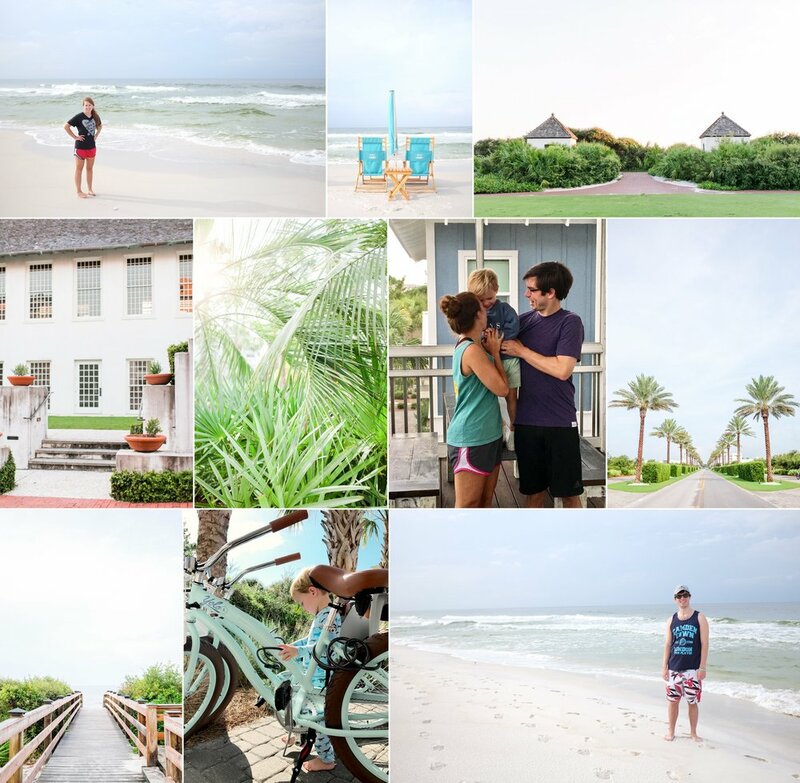 We spent a week in the Isle of Palms, SC with the Edwards clan and a week in Rosemary Beach, Florida with the Markham family. Knowing this would be the last time that we would all be together for a while, we treasured both of these weeks. 08.09 - Aaron finished his Master of Divinity degree!! After three years of doing full time classes while also working full time leading college ministry and tutoring in math, I (Casey) couldn't be more proud of this guy! 08.21 - Greenville was in the path of totality for the solar eclipse and it was pretty much the coolest thing we've ever seen. All year - Casey photographed 12 weddings this year (Aaron was the second shooter for 3 of them!) and the final one happened just a few weeks ago in Tanzania! 09.01 - THE BIG MOVE! We left our first home together in Greenville, SC for our new home in Nairobi, Kenya! It's hard to believe we've been here for 4 months now. It's been an adventure so far, but we love the ministry we're doing here and cannot wait for all that this new year holds! 09.26 - We celebrated two wonderful years of being married! 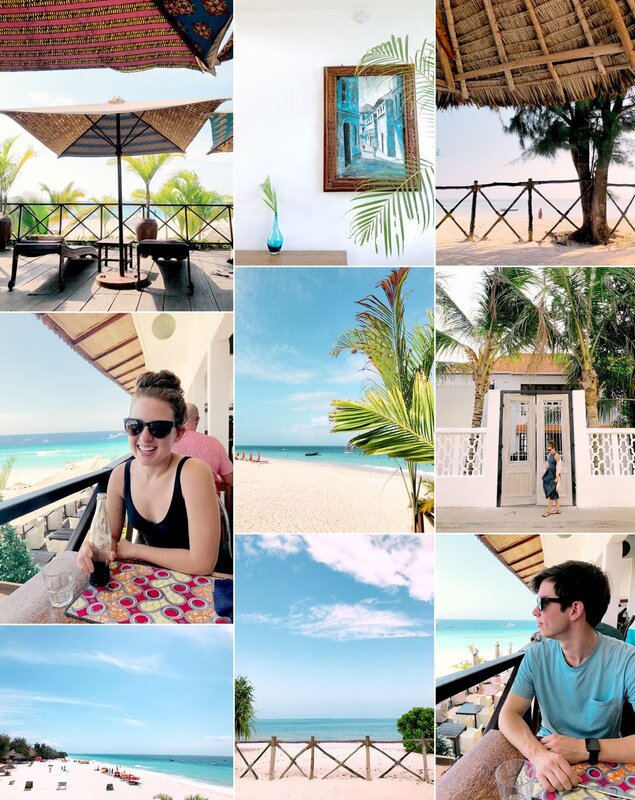 12.17 - We spent a week on the picturesque island of Zanzibar, off the coast of Tanzania! 12.25 - Last but not least we celebrated our first Christmas in Kenya! 2017, you were a good year, but 2018 is already shaping up to look pretty great as well! Happy New Year, friends! !